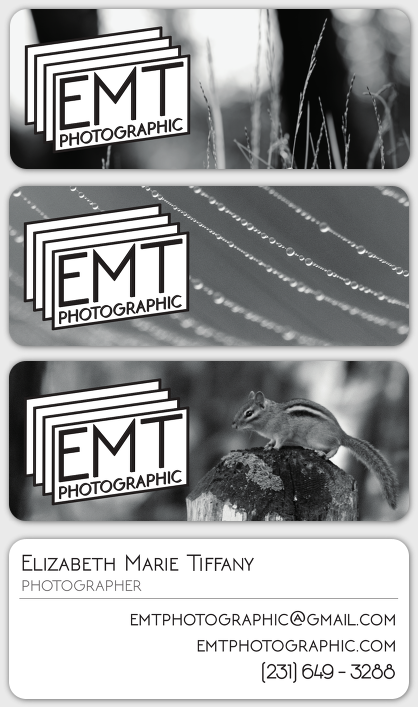 It took a little time to put together the designs for the first run of business cards. With Moo the possibility of printing multiple designs on the backs of the cards made this a much more difficult task. I narrowed it down to 10 images – featuring different aspects of my business including wedding photography, real estate photography, and Google Street View photography. Here’s a little taste of the fine art nature images that I used for a few of them. I’m pretty excited for these to land in my mailbox. I have always thought that nothing could beat being issued your very first business card at your first professional position. I realize now how wrong I was. Designing and printing cards for your own business is much more rewarding! I hope that everyone that I happen to give a card to sees it as more than just a list of ways to reach me – but as a little piece of artwork too. There is a lot of me that went into every aspect of these. From the logo design, to the type setting, and the carefully selected and cropped images – they all represent my creative mind, my style, and my passion. I love your photography!!! Amazing!!! Thanks Erica! I just followed you on instagram – Love your work too!